Discussion in 'Gaming (Software and Graphics Cards)' started by Alias, Jan 26, 2019. What I find most intriguing is the fact that the 2070 MQ is keeping its boost around 1440mhz even after playing for a good 30 mins. Sometimes the clocks will go even higher. Max temp was 70c but ususally in the 68c range. Is it me but a sustained 1440mhz boost clock at 80W power limit is pretty impressive... is this the 12nm process showing what it can do? JRey and hmscott like this. Keep in mind that the Razer Blade with 2070 Max-Q may be a 90w variant. They always use the highest tdp gpu like on 2018 model. I think Alienware m15 and Zephyrus S as well, since they use same 230 Watt ac adapter and score FS overall score with a bit afterburner touch would easily pass 15K on 1070mq. So poeple who are hungry with FS score and still want portability should go with such gpu (joke). So a Razer blade 15 with 2060 rtx is more convenient? Lurker Below, Papusan, Zill and 2 others like this. This notebook costs over twice of my 1070mq laptop price, that definitely deserves the performance. Lurker Below and hmscott like this. Excellent Been waiting for more comparisons between the GTX1070MQ and the RTX2060 Hopefully they do benchmarks for the Alienware M15 with these cards soon. ...Again, I'd seriously consider full GPU (not Max-Q) 10 series laptops while you can still find them, spend less, and hunker down till the next GPU releases from AMD / Nvidia on desktop / laptop. Or, pony up the big bucks - embrace big chassis laptops - and find a full power 20 series laptop to get the best you can this generation. ASUS G703GI Gaming Benchmarks - 13 Games Tested! I’m still working on the full review of the ASUS G703 gaming laptop, subscribe so you don’t miss it! 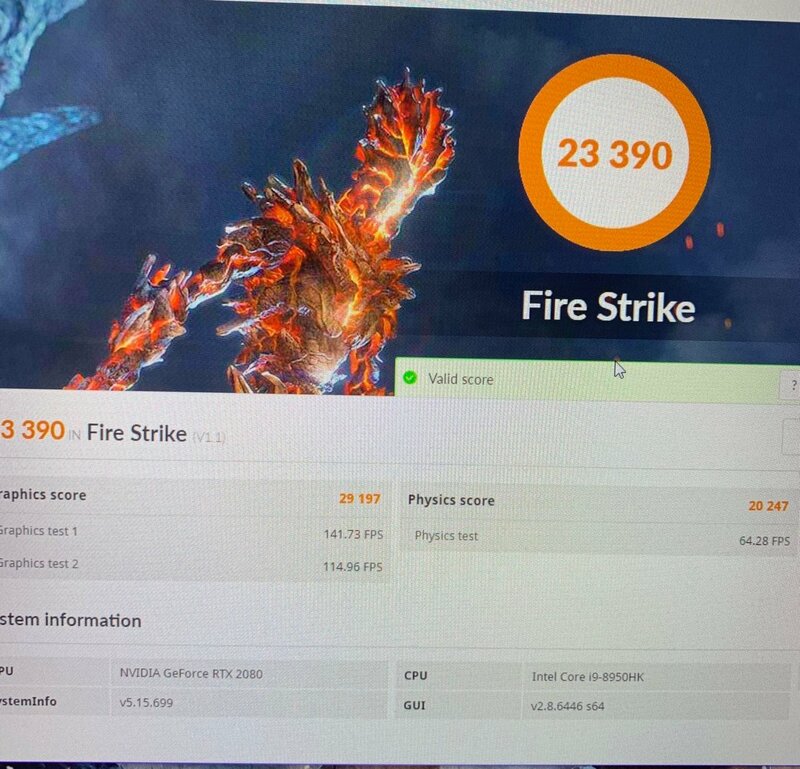 Damn, I got the full 2070 and only pulling about 60-70 fps and 64 in the benchmark. Curious to see what some other full 2070 models are getting. Zill and hmscott like this. I have extracted the vbios of the 2070 MQ in my laptop. Who know how to mod these things? What chassis is it running in?